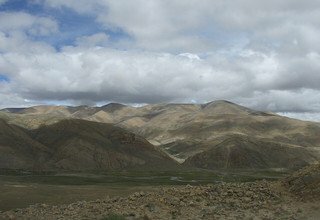 Tibet Tour Overland &amp; Fly Out, 12 Days Fixed Departure! 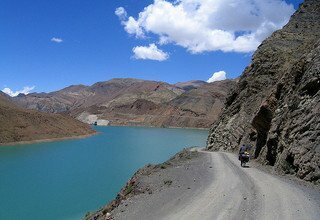 Tibet Tour Overland & Fly Out, 12 Days Fixed Departure! 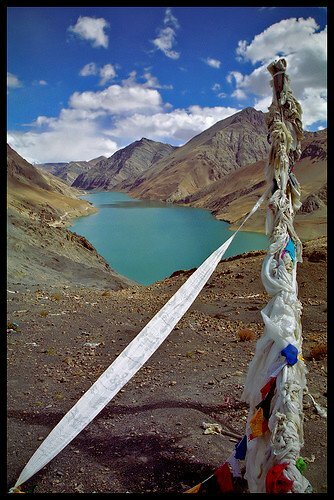 The best way to explore and enter Tibet is an overland tour. 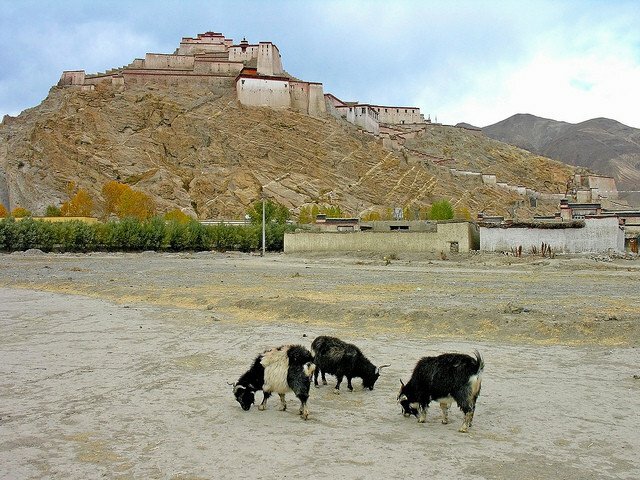 A Tibet overland tour gives you a brief insight into Tibetan art, architecture and culture. 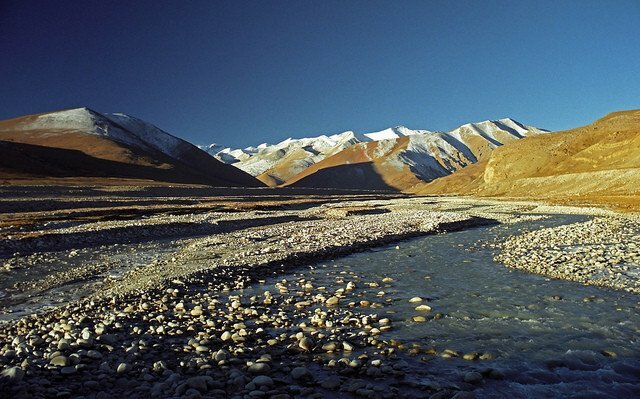 Spectacular views, watching the Himalayas, including Mount Everest. 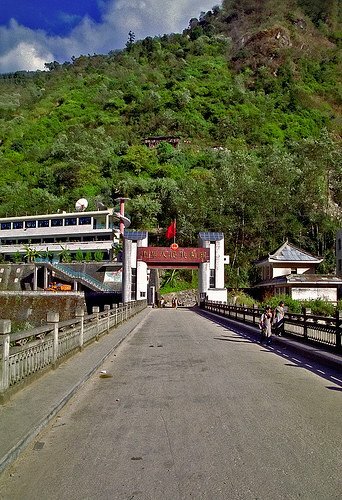 Crossing one of the world’s highest passes Lhalung La (5050m). 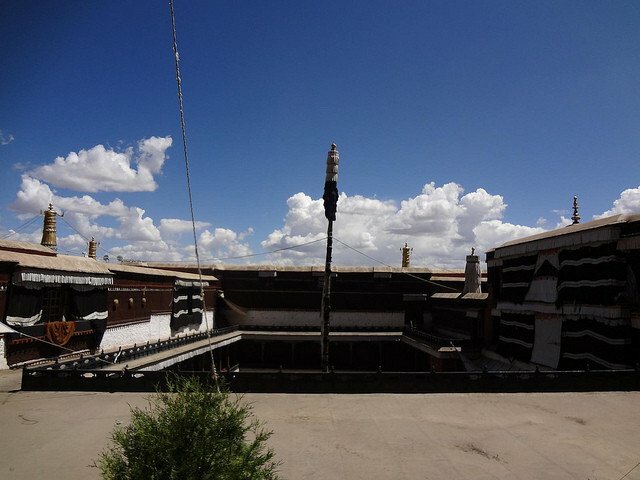 A visit to the Shakya monastery, one of the oldest Monasteries in Tibet, the famous Tashilunpo Monastery in Shigatse, which is also the seat of the Panchen Lama. 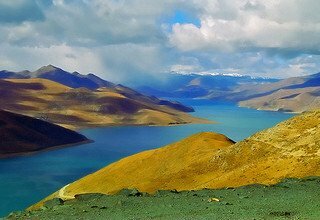 See the beautiful Yamdrok Tso (Turquoise Lake), where devoted Tibetan pilgrims and occasional western trekkers circumambulate the lake, a walk of around 7 days and the Potala Palace, Lhasa's landmark structure that deserves a place as one of the wonders of the eastern architecture. These are just some of the main highlights on the tour. Day 1: Arrival in Kathmandu and meet with SFT representative at the airport and transfer to Hotel. 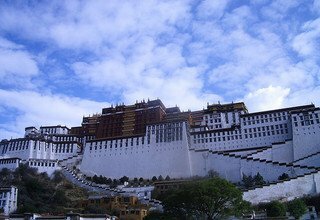 Welcome drink and short briefing about Tibet Tour, relax. Departure at 5.30AM from the SNFT Office in Thamel. 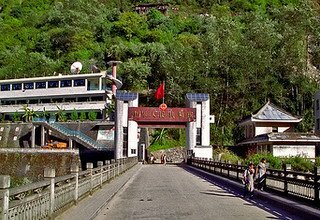 You will drive approximately 5hrs to Kodari (China/ Nepal border). Half hour drive to Zhangmu then, where you have lunch. 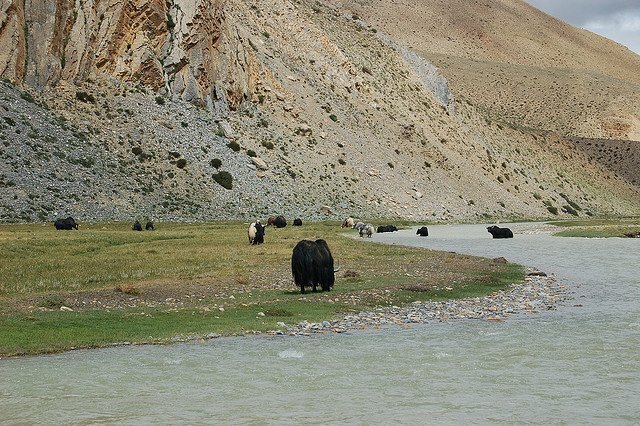 After completion of immigration formalities we drive further to Nyalam, following the Bhote Koshi River in a deep valley. Overnight in Guesthouse. Drive over Nyalam Pass (3800m) with a view on Jugal Himal. 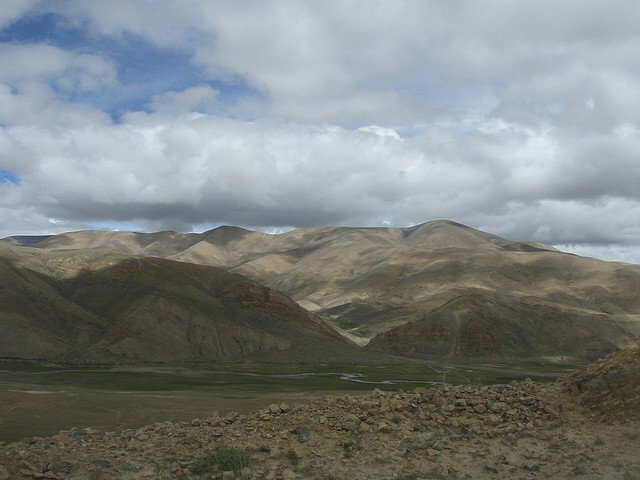 A continued drive via Lalungla Pass (5050m) has some of the most outstanding view of Mount Xixapangma (8013m), Mount Malaku (8464m), Mount Lotse (8516m), Mount Cho Oyu (8201m) and Mount Everest (8448m). Overnight in a Guesthouse. 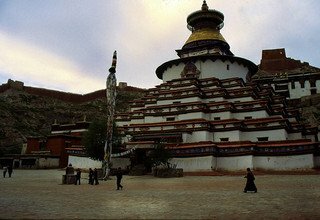 Depending on the road condition, we will visit the Shakya Monastery, one of the oldest Monasteries in Tibet, which is 52km off the main road. 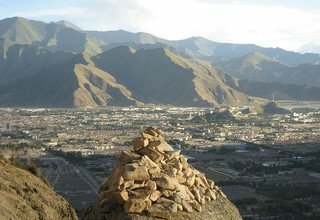 Then we drive to Shigatse, the place of the famous Tashilunpo Monastery and the seat of the Panchen Lama. Overnight in the Hotel. In the morning you visit the Tashilunpo Monastery incl. 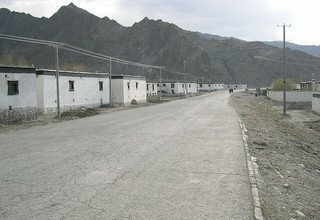 the Bazaar of Shigatse. 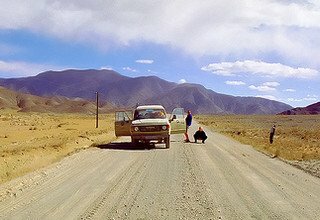 Driving to Gyantse will take us 2hrs. Gyantse is a small bustling town marked in history. In the 15th Century it served as the capital of a small Kingdom. 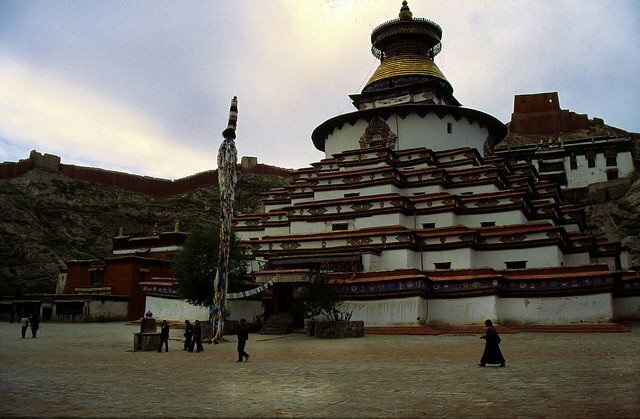 Visit Kumbum Chorten, which was built around 1400AD and later became the main centre for trade with British India. Overnight in a Hotel. 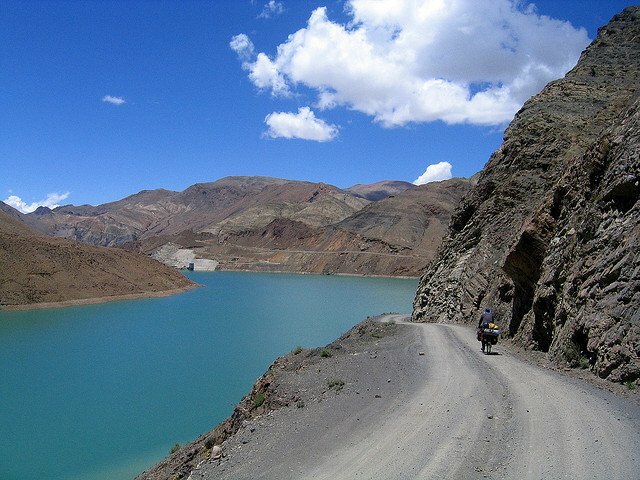 An 8hrs drive takes you to Lhasa, crossing the Karo La Pass (5010m) and Kamba La Pass (4794m). 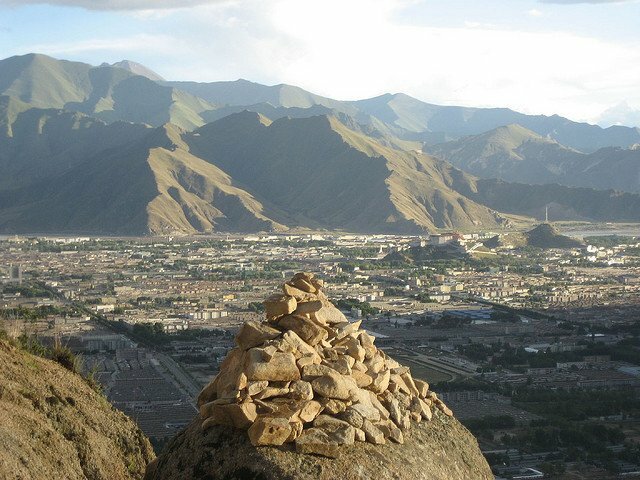 The Karo La climbs between two lofty mountains, Nozing Khang Sa (7223m) and Ralung (6236m). 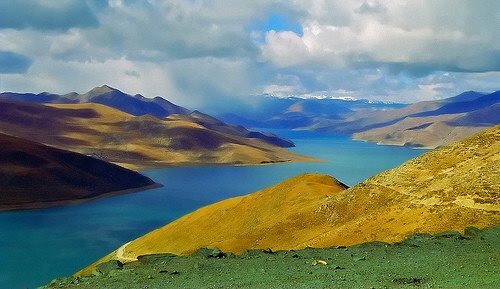 While driving, you will see the Yamdrok Tso (turquoise lake), which takes approx. 1 hour to drive around. 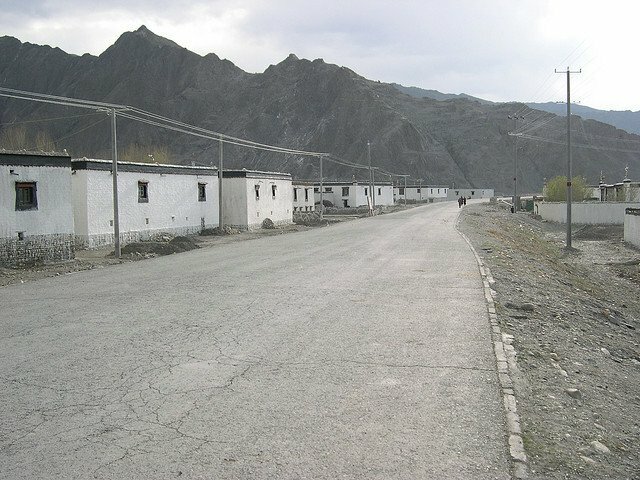 After passing Kamba La, Lhasa valley is seen in the north. 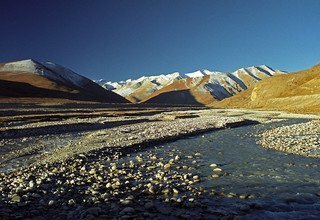 You will also cross the Brahmaputra River. The accompanied guide will reconfirm your onward airline ticket. Overnight at Hotel. 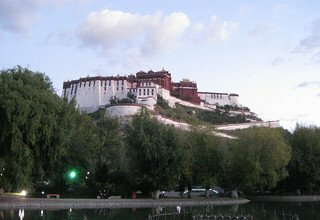 Sightseeing and excursions of the Potala Palace, the Jokang Temple, and surroundings of the Barkhor market, Drepung Monastery and Sera Monastery. Overnight at Hotel. Day 10: Early morning transport to airport and fly back to Kathmandu, transfer to Hotel. Day 11: Full day Sightseeing in Bhaktapur Durbar Square and Patan Durbar Square with our Tour Guide by private car, Overnight in Hotel. Day 12: Departure to International Airport. * 7 Nights twin sharing accommodation during the Tibet Tour (Guesthouse). * All Guided Sightseeing Trip in Tibet and entry fees. 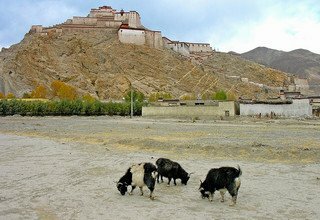 * A local English speaking Tibetan guide for the Kailash Khora. 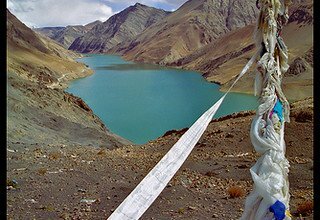 * Flight ticket from Lhasa to Kathmandu in Economy Class. 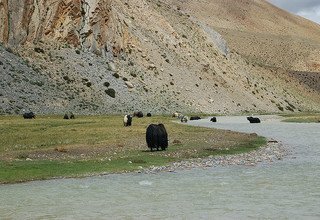 * All land transportation by private vehicle in Nepal and Tibet Tour. * Extra Cost to hire porters and other vehicles due to natural calamaties.